It’s an opportunity on Mallorca to taste the cuisine of several international Michelin-starred chefs all in one place and on one night. The Safari Culinario each July at the St Regis Mardavall Mallorca Resort is a gastronomic treat that no foodie should miss. 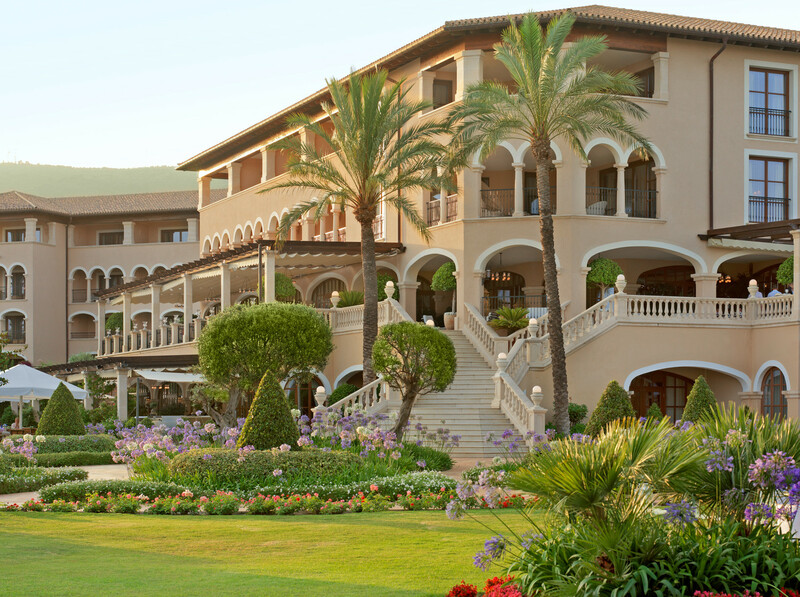 St Regis Mardavall Mallorca Resort, from the gardens. We attended a previous Safari Culinario in 2013, and I wrote an article about it, published in Food & Wine journal. The event was the best we had been to since moving to the island, with a beautiful setting, great live music, and a party atmosphere. In brief, it’s an evening when you eat a dinner of various courses – each prepared by a different chef – in different locations within the 5-star hotel. 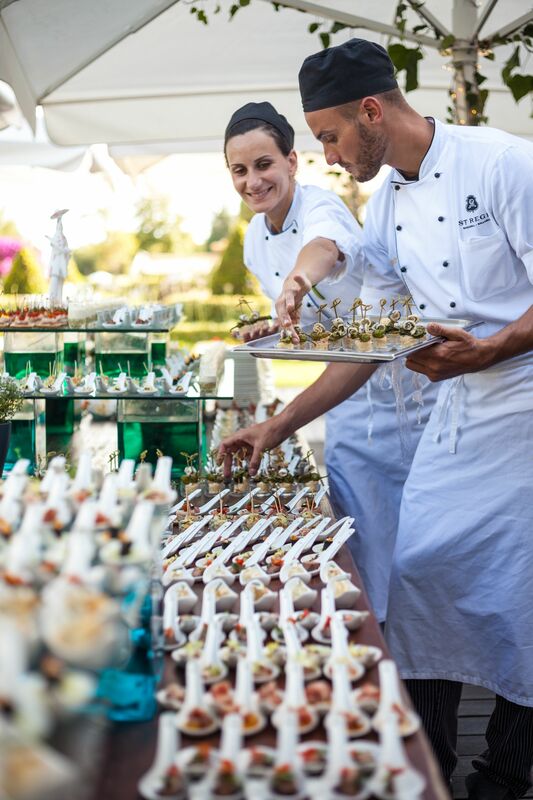 The event begins with a generous buffet of appetizers on the terrace, dishes from each chef, then a buffet of more than 20 different desserts. Setting out last year’s table of appetizers. The price for this remarkable dinner and evening – including champagne reception and all drinks – was the same as it was in 2013: 199 euros a head. The price had increased slightly for 2017, when nine chefs came from places including Israel, New York, Germany, Dubai, and Tenerife. Next PostInsider tip for a good café in Manacor . . .